Blog You Can't Have The Father, Without The Son #WhoIsIsrael? You Can’t Have The Father, Without The Son #WhoIsIsrael? Hear some truth. You Can’t have the Father without the Son. 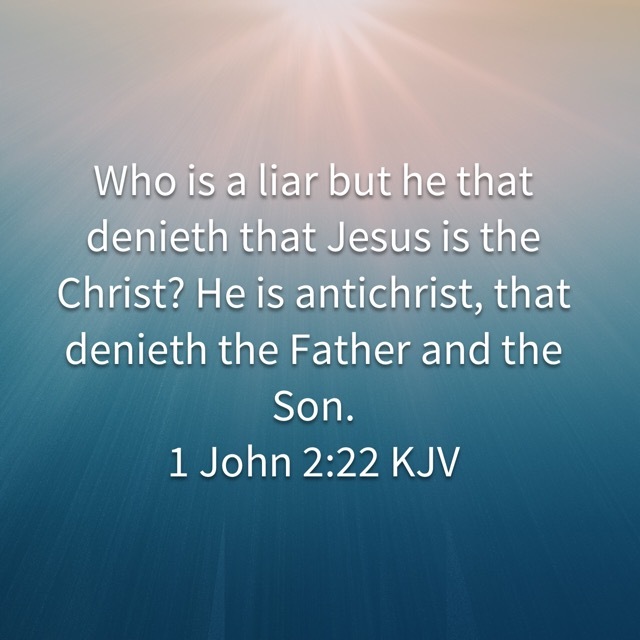 In fact, anyone who denies that Jesus is the Messiah, is in fact, antichrist. Your nationality or DNA doesn’t change this fact. It’s ALL about Jesus and faith in Him. If you know Him then you also know the Father.